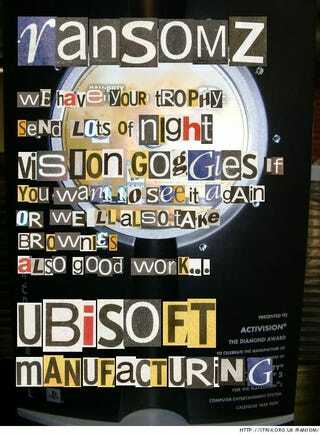 When Sony accidentally sent Activision's trophy for 1.5 million manufactured units of Modern Warfare 2 to Ubisoft, the situation quickly got out of control. Will Activision come up with the brownies before it's too late? - Thanks, Anonymous Kidnapper!